Yesterday I wrote an article about how it’s important to understand the theory behind accessibility in order to implement it. I wanted to add a hat tip to some people at a web site I frequent for the clear layman’s definitions of various HTML5 concepts, but the article ran way longer than I wanted it to. Worse, adding yet another concept in an already complicated article would have made the whole thing annoyingly convoluted. 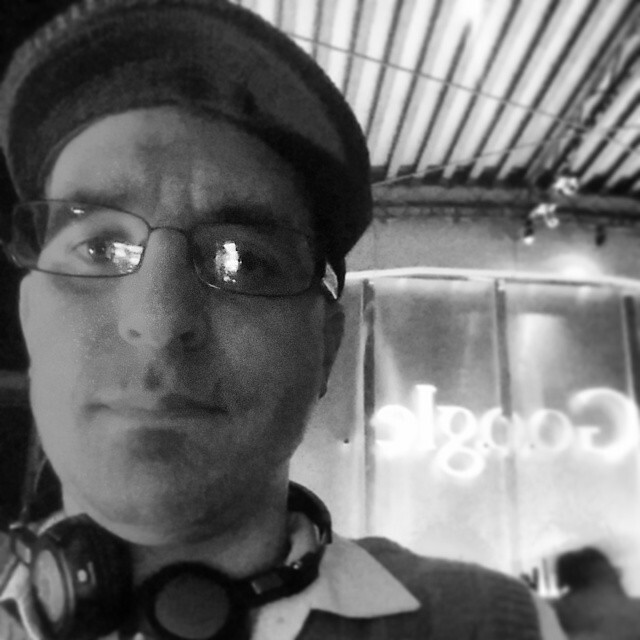 As an aside, earlier this year while attending the 30th Annual International Technology and Persons with Disabilities Conference at CSUN (Respectfully referred to by its attendees as simply ‘CSUN‘), I was invited to tag along at a networking event hosted by Google on a rooftop bar. At least I think it was a networking thing. There were a lot of people drinking, but I’ll talk about that another time. Anyway, I was at this Google Party where I was able to meet some people that I look up to in my field (I realize how humbling it is to admit to identifying people I know and have worked with as celebrities). “Oh cool. Do you play with anyone I’ve heard of?” I asked. Mr. Priority Guest pauses for a second. “I guess you’re right,” I responded and went back to the mundane world of hotel security. In hindsight, if someone made 3 million pounds, he shouldn’t be whining about anything. I made 10 bucks an hour, and hardly complained. But the point is, I don’t really get all squirrelly when I meet what’s typically considered to be famous people. I mean, after visiting the Museum of Fine Arts once, I gave directions to Bill Murray, and didn’t even bat an eye! In the field of accessibility for which I’m a part of, there’s a bunch of key movers and shakers. These people either set the stage for how things have come so far or are setting it up for where it’s going to go. For some reason, these people are the ones I tend to behave like other people do around celebrities. The ones that make the cut for me are the ones that have a solid grasp of the technical and theoretical aspects of accessibility, yet are able to break things down in such a way that non-programmers can understand them. For example, I met John Foliot in passing while attending the W3C Technical Plenary / Advisory Committee (TPAC) last year. In what I consider to be not one of my finest moments, I tried desperately to be calm cool and collected. This basically meant I didn’t say anything except maybe a blubbering “Hi…” when we were introduced. Inside, I was a Twilight mom at a Bieber concert. I’m sure John thought I was some odd duck. But at CSUN I was not only able to meet these heros, but actually hang out with them. I hosted an event centered around beer, went to a Google event, and still was too nervous to drink much for fear of letting my disability get the best of me (I have a tendency to occasionally make really stupid inappropriate comments at the wrong time when situations confuse me). But I also met some amazing people who work with amazing organizations. One of these people was Steve Faulkner, an author, speaker, and co-editor of HTML5 spec at the W3C. It was really cool meeting someone who plays such an important role in the language that makes the web work. In addition to playing a key role in the web, he also writes for a really useful website called HTML5 Doctor. It was either this or something with Captain Planet. For what it’s worth, I don’t know their credentials, so I’m not exactly certain if they’re actual doctors. In any case, Rich Clark, Steve Faulkner, Bruce Lawson, Remy Sharp, Oli Studholme, and Ian Devlin are all obvious gurus when it comes to web standards and accessibility. Personally, I rarely consider myself an expert when in mixed company, because I’m confident someone else will be there to prove their kung fu is stronger than mine. But these guys are clearly experts on their own. When they get together to explain clearly how HTML5 works, they essentially become Voltron. In any case, figuring out a clear and concise explanation for what the Sectioning Tags were required a lot of reading of HTML5 Doctor. If you’re in a situation where a specification is causing heart palpitations, I’d highly recommend running over there to check to see if they’ve got an answer on how the markup should be interpreted. They have great articles that compare a lot of tags that seem to be similar. For example, in this very article, I wanted to make sure that I was using the correct usage for striking out text when I quoted Doctor Who in the heading above. Since <strike> is obsolete in HTML5, the options of <s> and <del> sound eerily similar to each other. 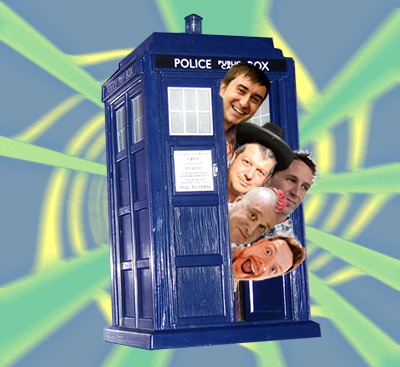 Enter the Doctors, and the answer is clearly explained! As I mentioned in yesterday’s article, using the Sectioning Elements to make better designs should be part of your arsenal, but hard and fast code shouldn’t be the only weapons you should be packing. Accessibility standards — well, standards in general really — can be incredibly obscure and read like The Cave of Time, forcing you to go research other referenced specifications elsewhere. However, there are people out there who not only specialize in this stuff, but are actually interested in it. This interest really shines when they make supporting documents that serve to alleviate the craziness surrounding understanding them. Be sure to bookmark HTML5 doctor. It’s a valuable resource.